Syria will not share the same destiny as Yugoslavia, Iraq and Libya as long as Russia is actively present in the Middle East, journalist and defense analyst Mirko Molteni told Sputnik Italy, commenting on the Pentagon’s unprecedented attack on a Damascus-operated military base which left at least six people killed. “I think that [Syria] will not suffer the same fate as [Yugoslavia, Iraq and Libya] as long as such powers as Russia protect their interests in the region, particularly the base in Tartus and the military air field close to Latakia,” he said. Washington’s unauthorized operation in Syria prompted many to compare it to other US-led interventions which shattered several countries across the Middle East and elsewhere in recent decades. In Molteni’s opinion, much will depend on what Washington plans to do next and whether the massive airstrike involving 59 Tomahawk land attack missiles was an isolated unilateral move or a harbinger of what’s to come. The US administration has not explicitly said whether this was a onetime measure, but US envoy to the United Nations has said that Washington is “prepared to do more,” without specifying what that means. On Thursday, United States President Donald Trump ordered a massive airstrike on the Shayrat air base located in the Homs province, saying that the Syrian Arab Army (SAA) used the facility to ostensibly store chemical weapons and launch an attack on the town of Khan Shaykhun using a highly toxic substance against civilians. Syrian leadership and the SAA command denied these claims.The Russian Defense Ministry also said that Damascus did not use chemical weapons since the Assad government destroyed these armaments under a deal brokered by Moscow and Washington in 2013. 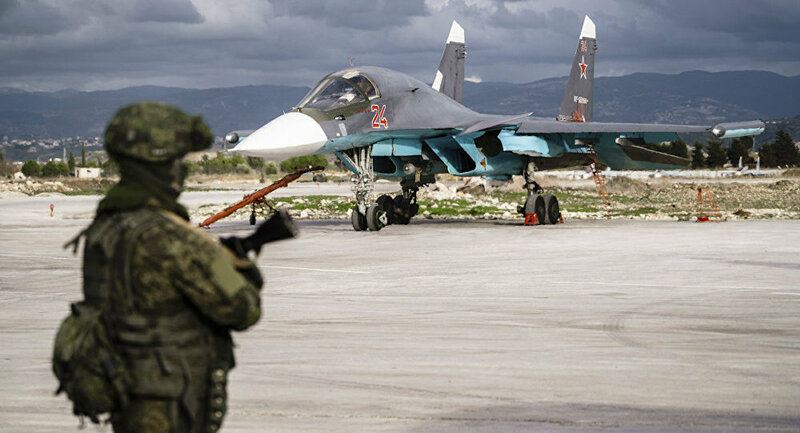 The ministry explained that the Syrian Arab Air Force hit a large militant ammunition depot, which stored military hardware, as well as chemical weapons intended for Iraq. Moscow and Damascus condemned the Pentagon’s operation, the first of its kind during the six-year-long Syrian War. Molteni pointed out that Washington launched its airstrike without formally declaring war on the Syrian government. Many have emphasized that the decision was not authorized by either the US Congress or the UN Security Council. In other words, it came in violation of international law. The United States also made the move without providing any evidence to support its claim and prior to an investigation into the matter.”Such actions imply rashness. If the use of chemical weapons in Idlib was the reason, then there was no time to create an investigative commission to determine whether [toxic substances] were used by government-led forces since the incident took place only several days ago,” the analyst said. Molteni suggested that the Pentagon’s massive airstrike was rather a political move linked to America’s internal affairs. “This attack makes one think that Trump to an extent was forced to make certain concessions to those in Congress and the government who did not want Washington to improve relations with Russia. The fact that Republican David Nunes had to step down from the House Intelligence Committee-led investigation into Trump’s possible links to Russia during the election campaign serves as an indication [backing this assertion]. Nunes has been lately accused of telling Trump that US intelligence services wiretapped him ‘by mistake,'” the analyst said. 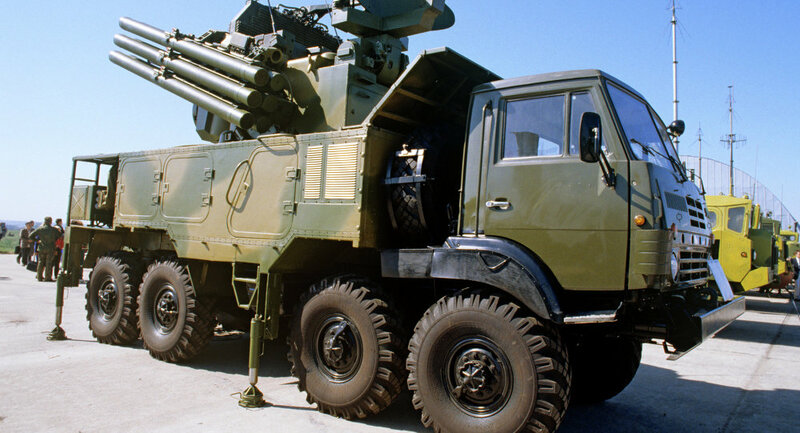 Brazilian representatives have expressed the relevancy of procuring Russia’s Pantsir-S1 anti-aircraft missile systems, during talks in September 2016, Anatoly Punchuk, the deputy director of the Russian Federal Service for Military-Technical Cooperation (FSMTC), said Tuesday. RIO DE JANEIRO (Sputnik) — Negotiations over the possible purchase by Brazil of Panzir-S1 systems have been held since 2013, however the signing of the deal has been repeatedly delayed due to the complicated nature of the country’s political situation. “The talks with the Brazilian delegation over this issue were held during the Army-2016 military and technical forum in September 2016. The Brazilian partners said this issue was still relevant. We hope for a positive result,” Punchuk told reporters. “Brazilian military have repeatedly visited the enterprise engaged in manufacturing of this weapons and took part in Pantsir-S1 demonstration firings at the Russian range,” the official added. Russia will continue deploying and re-deploying its missile unites on its territory, including the Kaliningrad Region, Moscow said. 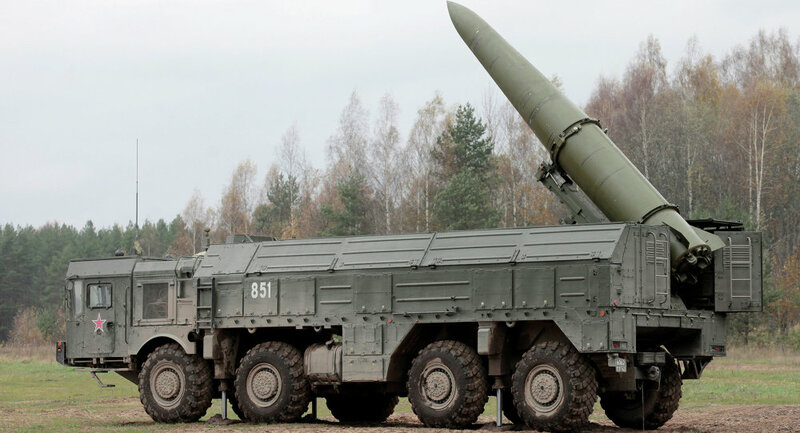 MOSCOW Russia will continue to deploy missile units anywhere on its territory, including in the Kaliningrad Region, as part of the plan to maintain combat readiness of its armed forces, the Foreign Ministry said. “As to the deployment of Iskander mobile missile systems in the Kaliningrad region, we would like to reiterate that Russia has never tried to conceal the fact that such military activities are taking place,” the ministry said in a commentary to an interview by NATO Deputy Secretary General Rose Gottemoeller with Russia’s Kommersant newspaper. “Missile units have been redeployed and will be redeployed as part of the armed forces’ combat readiness plan, including in the Kaliningrad Region. It all happens on the Russian territory, it does not violate any international agreements or treaties,” the ministry stressed. The number of the settlements liberated since January 1, 2017, by the Syrian government’s Armed Forces from the Daesh has grown to 225, according to the Russian Defense Ministry. The Syrian government forces have freed 225 settlements from the militants of the Daesh terrorist organization, banned in Russia, since the beginning of the year, the Russian Defense Ministry said Tuesday. “The number of the settlements liberated since January 1, 2017, by the Syrian government’s Armed Forces from the armed factions of the international terrorist organization Islamic State has grown to 225,” the ministry’s Center for Syrian reconciliation said in a daily bulletin. According to the center’s statement, two agreements on joining the ceasefire have been signed in the last 24 hours with two municipalities in the provinces of Quneitra and Suwayda, and the number of the settlements that uphold the cessation of hostilities has grown to 1,436. 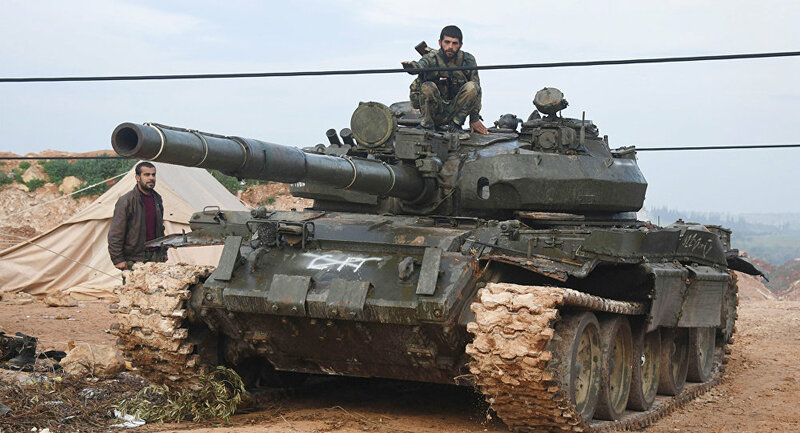 According to the bulletin, negotiations on joining ceasefire regime have continued with field commanders of armed opposition units operating in Aleppo, Damascus, Homs, Hama, and Quneitra provinces. Russia’s second upgraded nuclear-powered Yasen-class project 885M submarine will add significantly to the country’s navy, boosting its clout in strategically important regions at sea, according to the Russian news network Zvezda. The Russian news network Zvezda reported that Russia’s second upgraded nuclear-powered Yasen-class project 885M submarine, the Kazan, should help the Russian Defense Ministry resolve the key task of increasing the country’s naval clout in the strategically important regions of the World Ocean.The Kazan submarine was floated out by the shipbuilder Sevmash in northwestern Russia on Friday. It is due to enter service with the Russian Navy’s Northern Fleet in 2018 after the completion of a series of state tests. The Russian Navy is currently equipped with one Yasen-class submarine, the Severodvinsk, which has a submerged displacement of 13,800 tons, a length of 119 meters, can travel up to 31 knots, and can dive to 600 meters. The Severodvinsk is armed with naval mines, Oniks and Kalibr anti-ship and anti-submarine missiles as well as a range of torpedoes. According to Russia’s Naval Doctrine, the Yasen-class vessels will become the main multipurpose nuclear-powered submarines in the Russian Navy. At least eight Yasen-class cruise missile-carrying attack vessels are expected to join the Russian Navy’s submarine fleet in the future. 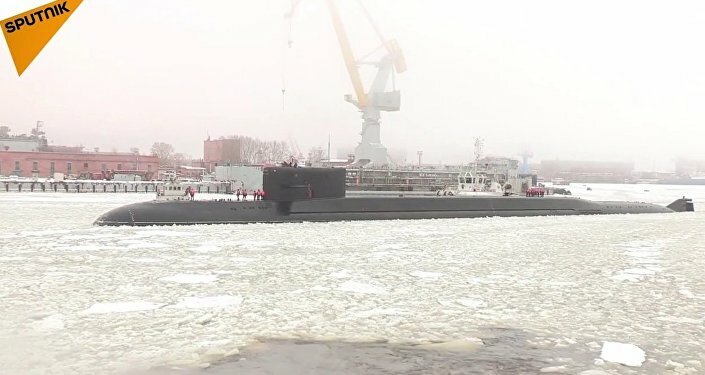 “Nuclear submarines of this type are capable of delivering missile-torpedo strikes against [enemy] naval targets and attacking coastal objects with several types of cruise missiles and modifications,” according to Zvezda. The Severodvinsk is armed with up to 32 P-800 Oniks supersonic anti-ship cruise missiles, 40 Kalibr-PL anti-ship missiles, anti-submarine and land attack submarine launched-weapons and an unspecified number of Kh-101 cruise missiles. Unlike the Severodvinsk, the Kazan submarine is more silent and as far as armament is concerned, it has eight SM-346universal vertical launchers.Each of them is due to be equipped with up to five Kalibr missiles. In all, the Kazan can carry 70 torpedoes and missiles, Zvezda reported. Russian military expert Viktor Mamaykin told Sputnik that “Soviet-made multi-purpose nuclear submarines were significantly inferior to those in America in terms of low-noise performance,” a major factor to win a possible war. “As far as I know, the Kazan’s low-noise characteristics are on par with its Western competitors. And now imagine what the Kazan can do if it is able to approach an enemy aircraft carrier strike group. 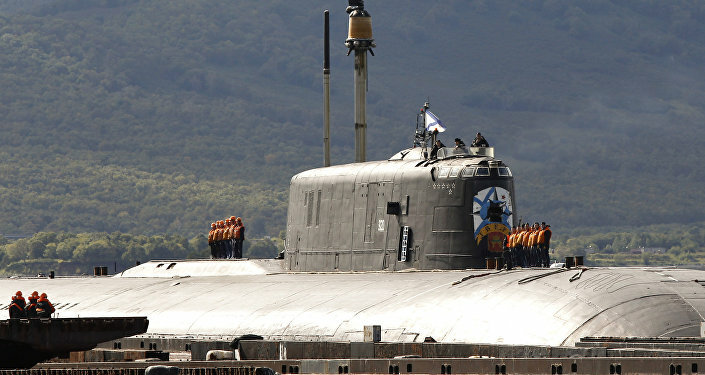 It will be enough to launch just one torpedo at the carrier which will give a lurch, something that will disrupt the work of the carrier’s main strike force,” Mamaykin said.Four more Yasen-class subs are currently under construction; the sixth Project 885 watercraft, the Perm, was laid down in late July 2016. A total of eight updated Yasen-class submarines are due to join the Russian Navy by 2020. MOSCOW. . French Defense Minister Jean-Yves Le Drian’s words that a battle to recapture the Syrian city of Raqqa from Islamic State will start in the coming hours are not based on true understanding of the situation “on the ground,” Russian Defense Ministry spokesman Major General Igor Konashenkov said on Saturday. “Friday’s optimism of the French defense minister, who announced Raqqa is encircled, has some specific national sources of inspiration which are not related to reality and situation ‘on the ground’,” Konashenkov said. Raqqa may be retaken in case all the forces that fight against terrorism will join efforts, he said. 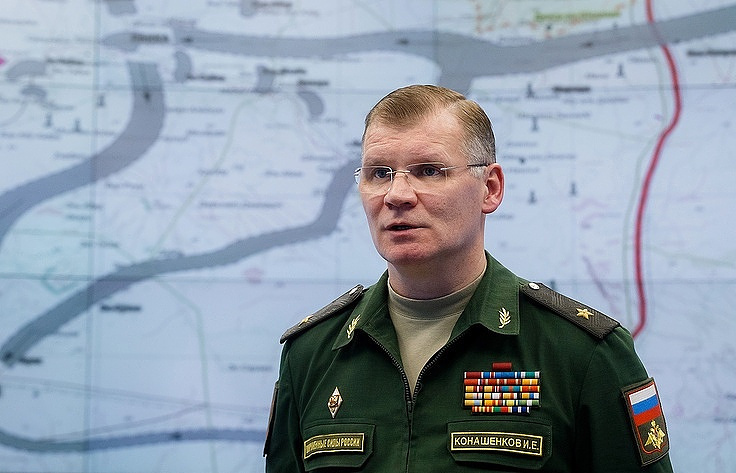 “Tangible results and deadlines for the operation will directly depend on the understanding and readiness to coordinate their actions with all the forces fighting against international terrorism in Syria,” the defense spokesman said. On Thursday, spokesman for the Kurdish-led Syrian Democratic Forces told the Syrian daily Al-Watan that Kurdish fighters, backbone of the US-led coalition, were about 16 kilometers east of Raqqa and 5-6 kilometers north of it. He claimed the Syrian Democratic Forces would isolate Raqqa in a span of two weeks to start preparations for assault. Even optimists are losing hope that Mosul could be liberated from Daesh this year, the Russian Defense Ministry said. MOSCOW. Even the most optimistic souls are losing hope that the Iraqi city of Mosul can be liberated from Daesh by the end of 2017, the Russian Defense Ministry spokesman, Maj. Gen. Igor Konashenkov, said Saturday. “Let me remind you that rose-colored slogans about the encirclement and the quick victory of the coalition in Iraqi Mosul have already resulted in significant losses of Iraqi forces and a growing humanitarian catastrophe. Even the greatest optimists are losing faith in the possibility of the complete liberation of Mosul from Daesh this year,” Konashenkov said. The city of Mosul has been occupied by Daesh, outlawed in many countries, including Russia, since 2014. The operation to retake it began on October 17, 2016 and resulted in the liberation of Mosul’s eastern part this January, but fighting continues in the city’s western areas. The operation to liberate it started on February 19.